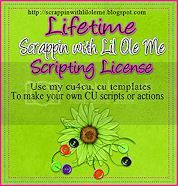 If you use my CU & CU4CU freebies please display my free license on your blog with a link back so others can also enjoy the freebies. This script will create a cute flower thats roughly 1500x1500 in size and 300dpi. Also just wanna mention that heartbeatz creationz are having a storewide 60% off sale for Saturday only. I will be posting the ad in my next post. Now onto the freebie. If you d.load please leave a thank you it doesnt take long. I want to get some more freebies out over the weekend so keep an eye out. Thank you so much for this Freebie. I want to let you know that I posted a link to your blog in Creative Busy Hands Scrapbook Freebies Search List, under the Elements or Papers post on Jun. 05, 2009. Thanks again. Thank you! Your blog post will be advertised on the DigiFree Digital Scrapbooking Freebie search engine today (look for timestamp: 05 Jun [LA 07:00pm, NY 09:00pm] - 06 Jun [UK 02:00am, OZ 12:00pm] ). Thank you! I can't wait to try it out. I'm always up for trying a new script. Thanks!! Thanks for the great scrip. I can't wait to try it. Thank you! Your blog post will be shared on CU Freebies Only Blog on Friday January 21ST 2010! 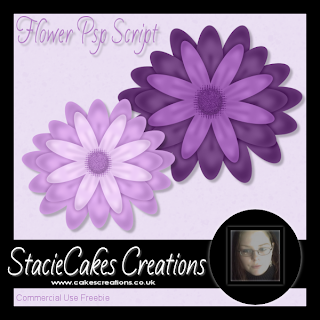 Thank you so much for sharing this script for the pretty flower! Thank you for the lovely script! Thank you! CU Freebies Only Forum Sent Me! Or message me via facebook.